Federal regulators were aware that asbestos-contaminated bark and wood chips in Libby, Montana were being sold and used by local residents and government officials more than three years before they acknowledged it publicly, according to a letter from the Environmental Protection Agency, sent to U.S. Sen. Max Baucus. Libby is the site of an EPA superfund, the result of the town receiving a “public health emergency” declaration in 2009 in response to the hazards of asbestos exposure and the higher than normal incidence rate of mesothelioma and other asbestos-related diseases. After reading a report from The Associated Press discussing the use of the toxic materials, Baucus (D-Montana) requested further clarification from the EPA about the wood products. 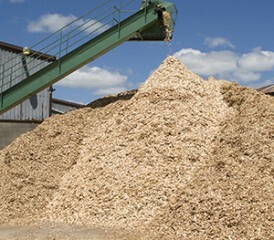 In previous statements, the EPA said it knew as early as last fall that wood chips kept at a former lumber mill were being sold by a local economic development official. In a letter Baucus dated July 15, the EPA acknowledged knowing about the sales more than three years ago — as early as October 2007. Baucus gained a commitment from the EPA that additional tests will be taken to confirm if the bark and wood chips are a health hazard. The EPA committed to perform activity-based sampling for Libby homeowners who have been exposed to the bark; to re-analyze wood chips to measure the quantity of asbestos fibers; and to conduct toxicology assessments for cancer and non-cancer health hazards. Since the closing of W.R. Grace‘s asbestos-contaminated vermiculite mine in Libby in 1991, an estimated 400 people in the area have passed away from an asbestos-related disease.